Last year, I listed a few of my favourite dark and moody books that perfectly fit the dreary autumn/winter season, and this year I'm adding to it. I'd previously focused more on slow-building suspense and gothic-tinged classics, but as Halloween is right around the corner I've added a few horror pieces this time as well. Commonly heralded as one of the best supernatural thrillers, The Haunting of Hill House tells of four individuals - a doctor and his three assistants - as they investigate a haunted house and quickly realise they've uncovered more than they can handle. 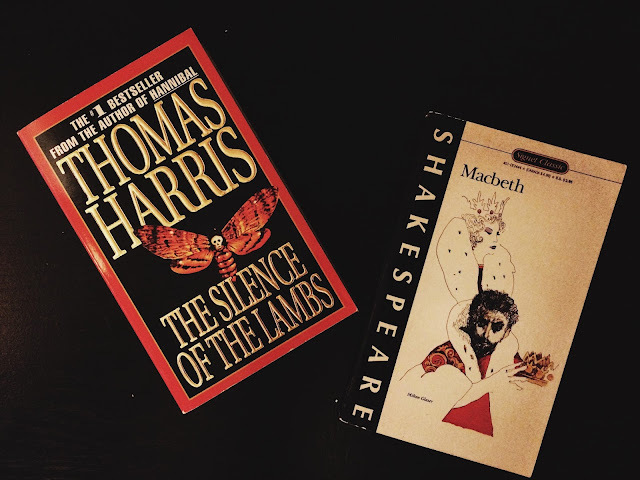 Last time I included Shakespeare's Hamlet, but Macbeth has witches' prophesies and a king's madness and all manner of tragic mayhem that ties it all together as a perfect autumnal read. While not my favourite of Shakespeare's works, it is nevertheless one of his most popular and well worth a read. Neil Gaiman's collection of short stories centres around tales of fantastical, magical beings that could only exist in the mind. As typical of Gaiman's work, the stories range from the fairytale-esque to the horrific, and are beautifully written. Admittedly, I've yet to finish my copy of this du Maurier classic, but it's an intriguing and slightly unsettling read so far. 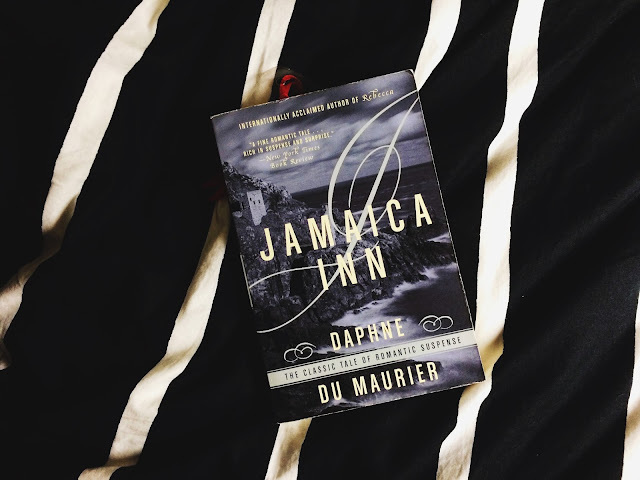 Jamaica Inn tells of a recently orphaned young woman named Mary who moves to Cornwall to stay with her aunt and uncle who run a inn and seem to be involved in some shady side businesses. The most popular of the Harris' Hannibal tales, The Silence of the Lambs is the psychological showdown between famed cannibal Hannibal Lector and FBI agent Clarice Starling. It's a horror and a thriller rolled into one and it makes for compulsive reading. 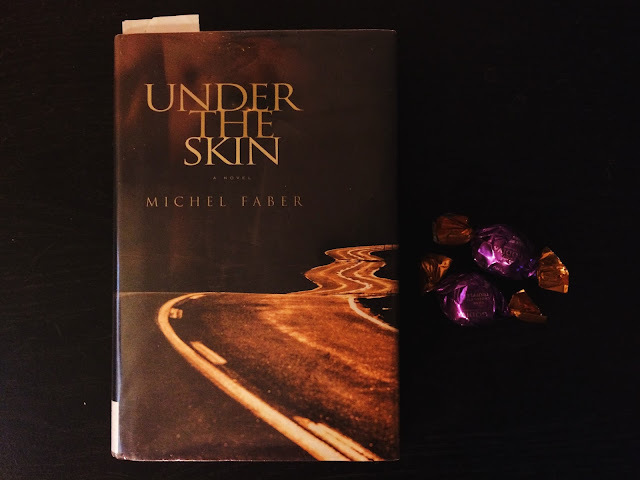 Michael Faber's debut is a slow-building sci-fi tale of a girl named Isserley as she drives through the Scottish countryside and picks up male hitchhikers. The plot is almost nonexistent but Faber takes his time telling the audience what is actually happening and explaining Isserley's motives, and as such it's a unique story for the season. James' 1898 gothic ghost story tells of a young governess for two children who discovers that the children are (literally) haunted by ghosts from their past. As typical of the drama, it feels more like an old read with some supernatural elements than a proper scary ghost story, but it's one of the most popular selections of its genre. It wouldn't be Halloween if I didn't indulge in some Poe. "The Tell-Tale Heart" is one of his most famous short stories, and I highly recommend reading more of his works to get in a truly spooky Halloween mood. This is the only book on the list I haven't read yet, but I've heard so many good things over the years that I'm including it and intending to read it soon. The Thirteenth Tale centres around Vida Winter, a reclusive writer, and Margaret Lea, a young biographer tasked with recording Winter's past, which is full of unbelievable tales of extraordinary circumstances. Highsmith's debut novel, later turned into a popular Alfred Hitchcock film, is an intriguing psychological thriller about two men who meet on a train and decide to trade murders - one man's wife and the other man's father - to get away with the perfect crime. Highsmith works through all the feelings of guilt and remorse felt after the murders take place, to where we can understand the mind of the killer in an unsettling way.